During the 17th century, the Dehua kilns, situated in the province of Fujian in China, were renowned for their production of white porcelain wares. These kilns were located near to rich deposits of petunse, or pottery stone, that was mixed with the essential ingredient of porcelain; kaolin, or china clay. 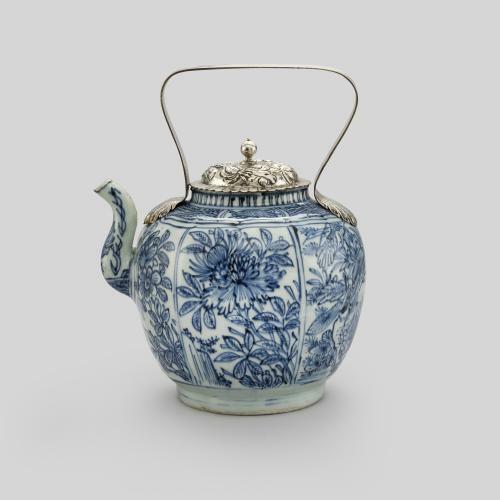 In the West, Dehua wares, that were highly prized by Europeans, later became known as ‘blanc de Chine’, a term coined by French ceramic historian Albert Jacquemart (1808-1875). 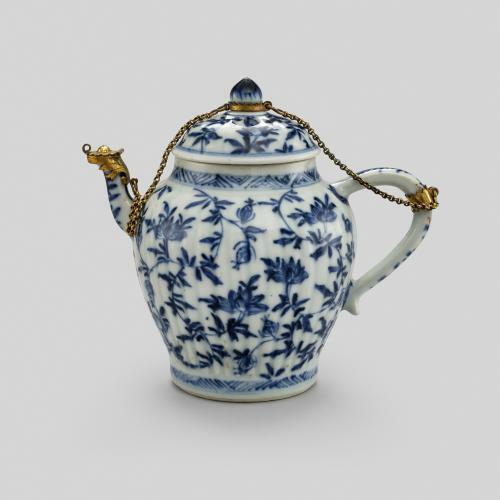 This ‘blanc de Chine’ teapot was one of the many Dehua wares that were exported to Europe to meet the demand for tea drinking vessels during the late 17th and 18th centuries. 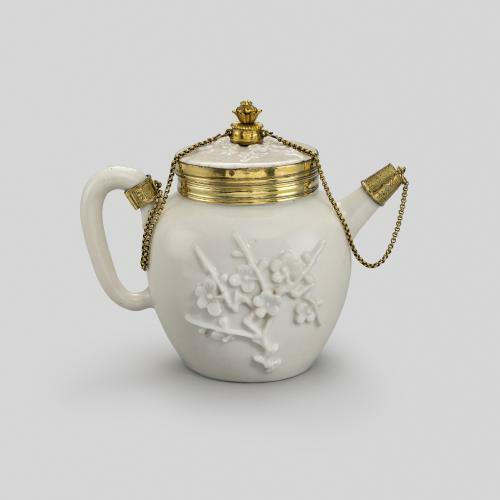 It is decorated with moulded prunus branches and flowers and is fitted with silver-gilt mounts, a form of embellishment often added to Chinese porcelain by Western craftsmen. The mounts offered some protection to the porcelain, masked any damage that had already occurred, while transforming such high quality pieces into luxurious objects that appealed to European taste. The mounts on this teapot were added in France and bear the mark for Paris where they were made ca. 1717-22. 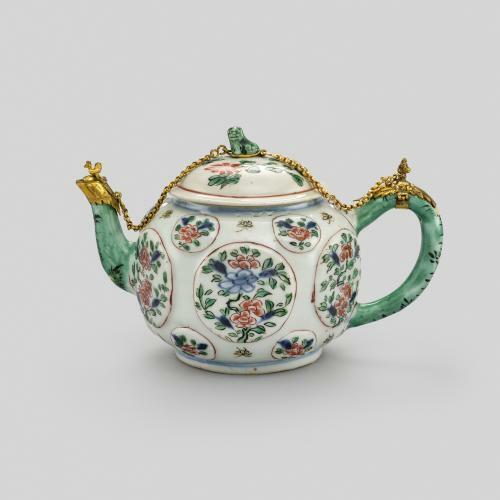 During the 18th century, Dehua wares were closely copied by European porcelain factories such as Bow and Meissen (see for example CCN.646).